According to the press release, "HMD has been founded to provide a focused, independent home for a full range of Nokia-branded mobile phones and tablets." Note that this does not mean Nokia, as in the company based in Helsinki, Finland, is coming back and producing phones again, although HMD is headquartered in Helsinki. These devices will be made in a manufacturing plant in Hanoi, Vietnam, that has also been acquired from Microsoft by FIH Mobile, a subsidary of Foxconn, which manufactures under license most mobile devices on the market. Like the Nokia N1, these new FIH/HMD-produced devices will run Android. If that's not enough, Microsoft is also selling its feature phone business, formerly Nokia's, to FIH Mobile for $350 million. This means 4,500 employees are being moved over from Microsoft to FIH/Foxconn. 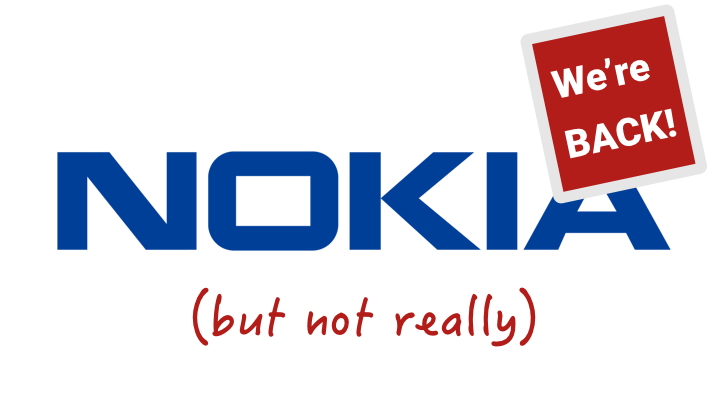 Foxconn will produce the phones, which will be branded as 'Nokia' using the rights acquired by HMD from Microsoft. Got that? Good. Running HMD will be former Microsoft Mobile executives, including the new CEO Arto Nummela, former head of Microsoft Mobile's business for Greater Asia, Middle East and Africa. The President will be Florian Seiche, current Senior Vice President for Europe Sales and Marketing at Microsoft Mobile. The transaction is expected to close in the second half of 2016, although there's no word on when newly-branded Nokia devices will start appearing on the market.